It’s almost here, 09/04/2015 I published before about first event for JAOUG, I am so excited, organizing the event not easy needs a lot of work , commitment and dedication. finally we are here. Since this is the first event before the biggest one, it’s only introduction for the group and to introduce the local people and let them know about the group. We prepare the poster today and seems perfect. 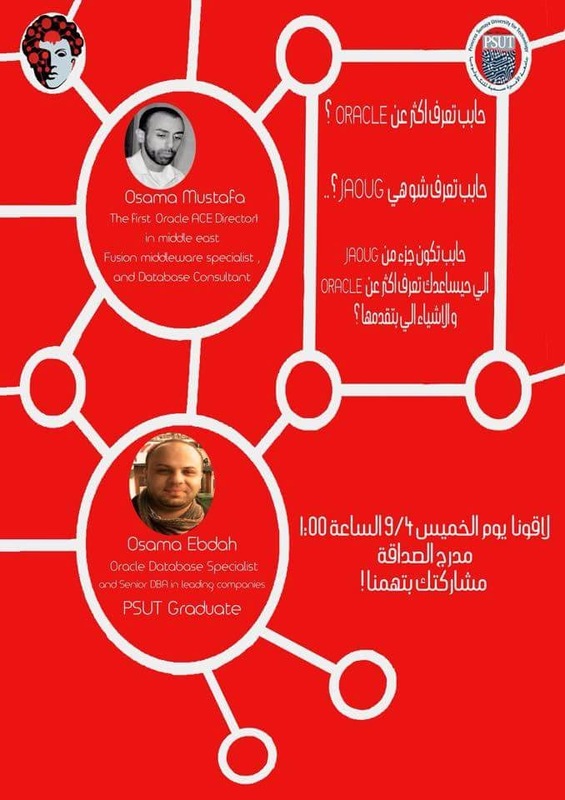 Thanks for the amazing Volunteer and PSUT to make this dream come true.